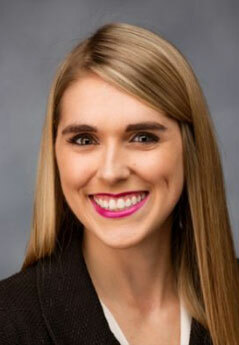 Sarah Papadelias | Beasley & Galardi, P.A. Sarah focuses her practice on complex business and financial litigation. Before joining the firm in 2018, Sarah served for two years as a Trial Court Law Clerk for the Fifteenth Judicial Circuit of Palm Beach County, where she prepared legal analysis, memoranda and orders for civil, criminal, and family cases. During law school at the University of Florida, Sarah worked as a law clerk at the Federal Communications Commission in Washington, DC and the U.S. Attorney’s Office for the Northern District of Florida. Sarah earned her Master of Arts in Mass Communication while attending law school. She published several articles relating to First Amendment speech and defamation as part of her dual degree program. “Rap Music and the True Threats Quagmire: When Does One Man’s Lyric Become Another’s Crime?” (with C. Calvert and E. Morehart), Columbia Journal of Law and the Arts, Fall 2014. “Bag Men and the Ghost of Richard Jewell: Some Legal and Ethical Lessons About Implied Defamation, Headlines and Reporting on Breaking Criminal Activity from Barhoum v. NYP Holdings,” (with C. Calvert, L. Riedemann, and D. Axelrod), University of California, Hastings Communications and Entertainment Law Journal, 2014. “Plausible Pleading & Media Defendant Status: Fulfilled Promises, Unfinished Business in Libel Law on the Golden Anniversary of Sullivan,” (with C. Calvert and E. Morehart), Wake Forest Law Review, 2014.